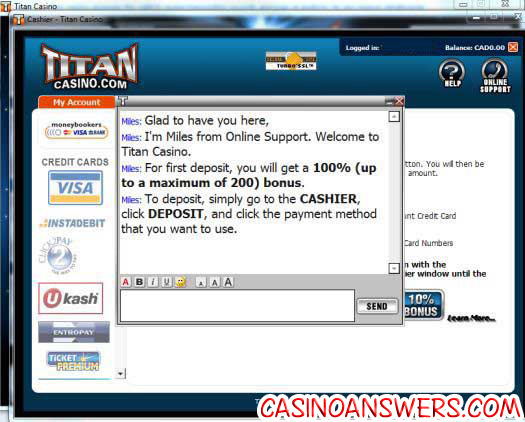 Titan Casino Review - Casino Answers! 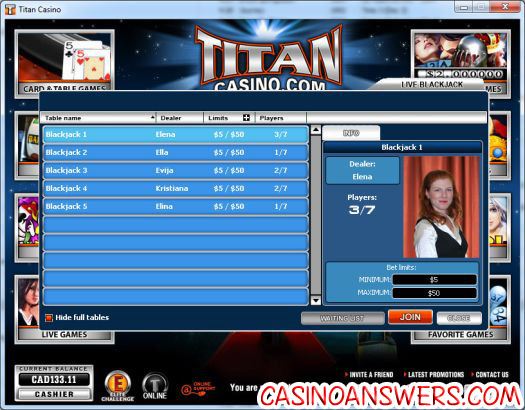 In our 4th casino blog, we are going to be checking out Titan Casino, which uses the Playtech Software. The Titan brand originally started with an online poker room, and have since expanded their market to include both Titan Casino and Titan Bingo. Titan Casino was also voted the Best Playtech Casino, so our experience there should be a good one. 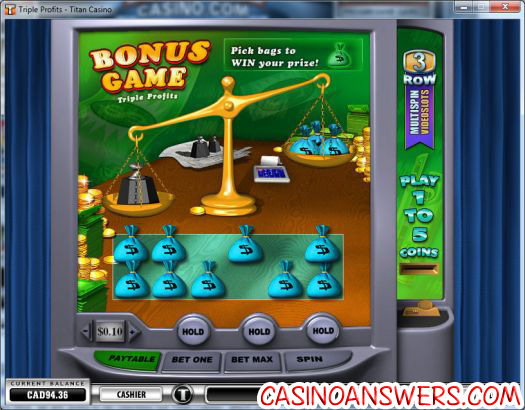 Let’s sign up at Titan Casino, and see just how good the Titan casino bonus is….Play at this years #1 online casino for United States - Slots.LV. As you can see it is very sharp, professional and easy to the eye. There’s not a lot of marketing BS either – it’s very simple, and easy to navigate and use. 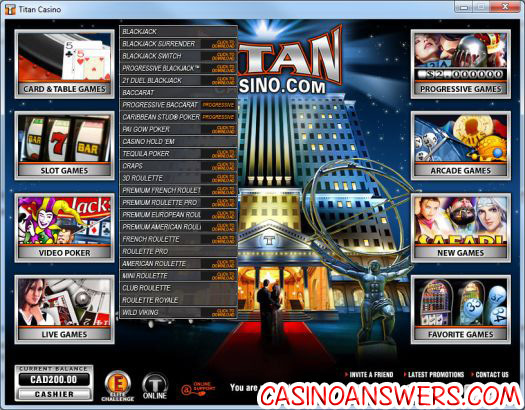 If you’re going there out of curiousity rather than to sign up, then they have a non-intrusive sales pitch below that explains why you should play at Titan Casino. 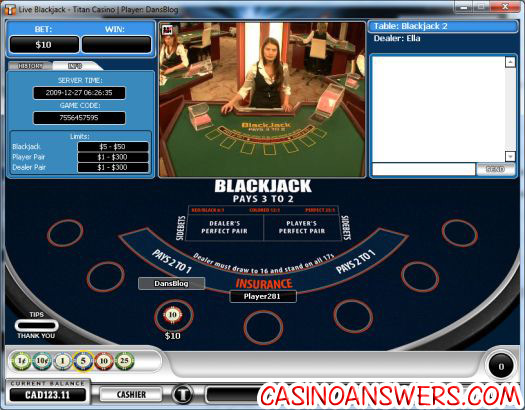 Which provides a nice step by step process as to how to install the casino software and sign up. Also at the bottom of that page is an option to contact customer support immediately. 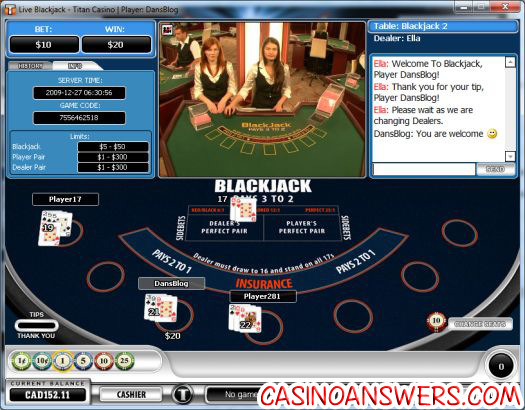 I really like this because it lets you know they are there to help and have went the extra mile to make sure you have a smooth online casino experience. 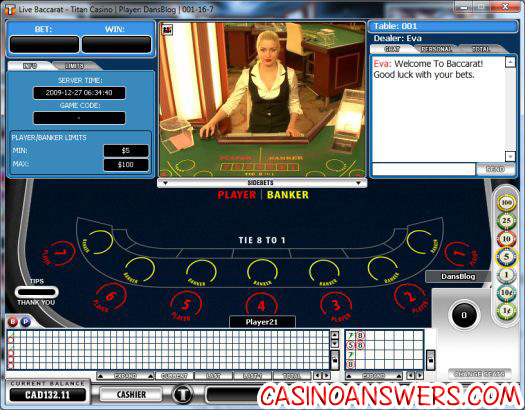 The setup of Titan Casino went very smooth – they also have a variety of online casino languages you can play in which are: English, Deutsch, Francais, Italiano, Espanol, Russian, Dansk, Polski, Svenska and Dutch. 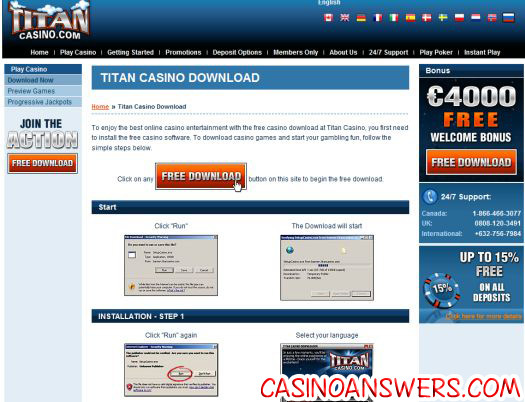 Titan Casino offers a €4,000 “welcome” bonus which is different from a casino signup bonus. 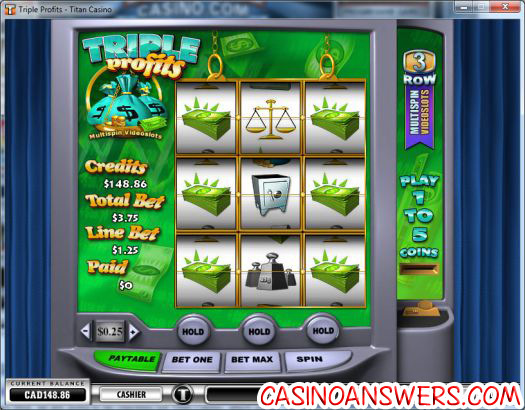 On your first deposit, you get 100% up to €200, and then there is 6 monthly bonuses of 100% to €200 and 26 weekly bonuses of 100% up to €100 which comes out at a total of €4,000. Also on top of the regular deposit bonus, if you use a certain payment method you get an extra deposit bonus on top of that. For example if you use a Bank Transfer or Ukash you get 15% extra, while payment methods like paysafecard and Neteller are just 10%. I will be using Moneybookers to deposit. 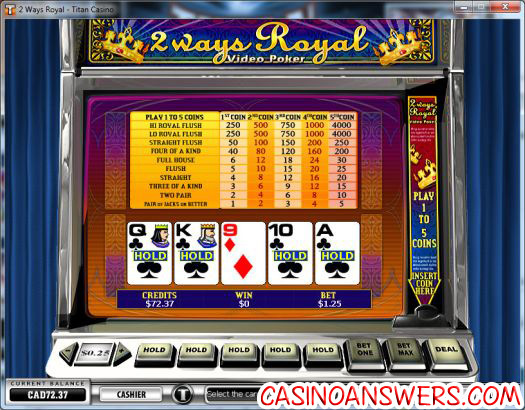 The bonus has a 20x wagering requirement, and no bonus code is needed. When you are registering it does prompt for a coupon code, however you don’t need to enter one to take advantage of the bonus. I guess it’s good if you need help as they’re there to walk you every step of the way and if you have problems you can bring it up right away. However I remember one online casino where they would just monitor your account, and if you tried a deposit and it failed they’d message you immediately. That was a much better way to handle it. Also when depositing with Moneybookers, the payments have to go to an e-mail address. When I go to pay, the e-mail address listed is Fastengineadmin3@spidernet.com.cy. That’s the best e-mail address they could set for that? I could see that putting off people. Anyway one problem with the deposit – the bonus for depositing with an alternate method is only available if you aren’t already taking advantage of another bonus, which is rather annoying. The website is very misleading with that, suggesting that you use an alternate payment method for an “extra bonus” – what they mean is that you should use an alternate payment method to credit cards, and get an extra bonus for that – IF you have no other bonuses available. Oh well – just a few minor niggles. 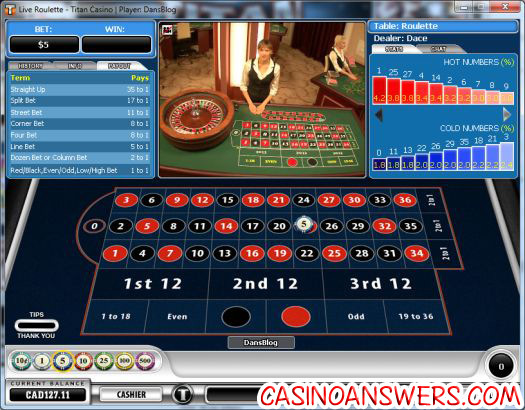 I received an e-mail from Titan Casino with all my login details which is good to have in case I never lose them. Welcome to the first day of the Titan Casino blog. Titan Casino uses the Playtech software and is a new online casino, launching approximately 6 months ago. We’ve got a $100 bonus to clear and a $200 starting balance with a 20x playthrough – so let’s get started shall we….Play at this years #1 online casino for United States - Slots.LV. 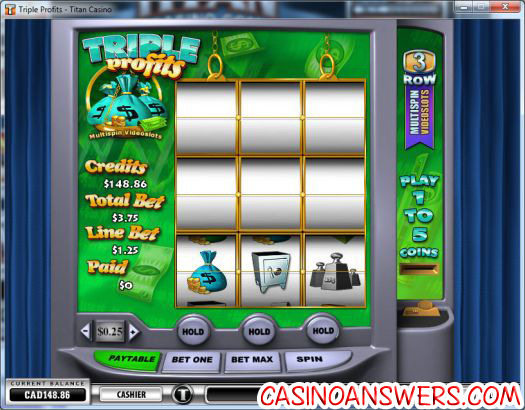 We’ll be betting $5 a game doing the maximum 5 coins for the highest expected value possible, and as you see above we get off to a great start with three of a kind to win $15. The software also of course recognizes when you have a good hand, and auto holds those cards for you. Of course this is standard – but I’ve actually played at some video poker machines where you couldn’t do that. 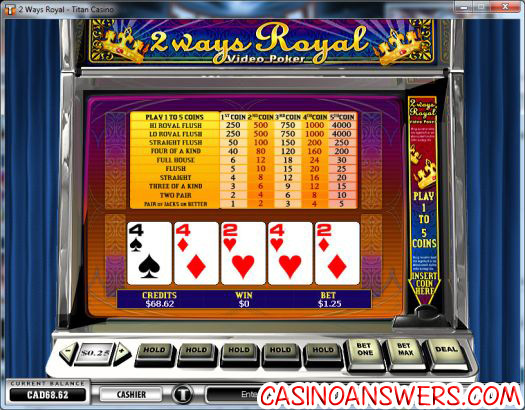 When you win a hand, you get the option to Double, Double Half or Collect. Collect is obvious – you just collect your winnings and move onto the next hand. If you choose to Double you then get dealt one card out of five as shown below face up, and you get 4 face down cards to choose from. You then have to select one of the cards that are higher than the card you have – if you get it right you get to collect or double again. If it’s even then you get the chance to collect or double, and if it is lower you of course lose. Half Double means you collect half your winnings and risk the rest, which is a really cool option. 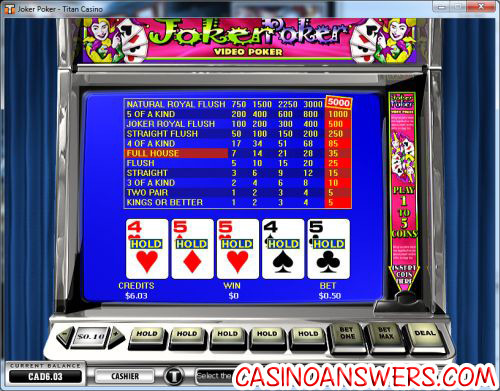 Always enjoy those little mini games within video poker. The very next hand I get :3s::3c::3h: for another three of a kind, making a nice run of wins as I have gotten two three of a kinds and two pair. I should note that if you get a hand like :js::kd::5h::9d::9c: it doesn’t hold any of them – so you do have to choose to hold those ones manually. You also have the option to hide the double up window in video poker which is really cool – I always get tempted to double up even though it’s totally -EV, so it’s good to be able to hide that. We hit a nice $32 win. Also if you notice up at the top right – they have something called Dollar Ball. For this slot machine rather than a progressive jackpot as you spin the slots they have this – it’s basically like the lottery. You bet $1.20 and pick 5 numbers from 49 numbers. You also have the option of randomly picking. 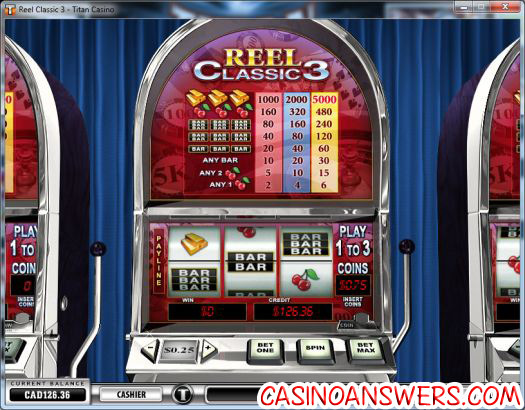 The numbers then appear during the spin of the main game, and if any of the numbers match your selection you win money! Also on this slot I should note you win almost every time – it’s usually just amounts below what you wagered. I was wagering $5 a spin and winning $2 or $3 the majority of the time. 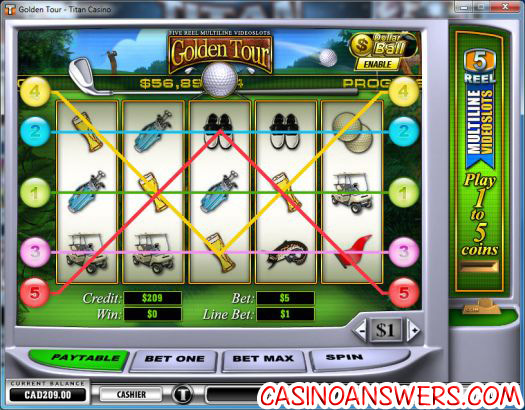 We end up not having much luck on the Golden Tour slot however and our balance promptly drops to $149.60. I’ll be back tomorrow as we hit up some Live Dealer Tables. Welcome to day 2 of the Titan Casino Blog. I hope everyone had a great Christmas – I know I did, although the highlight of Christmas Day which was a big bet on the San Diego Chargers -6.5 at +310, as they totally ripped apart the Tennessee Titans. Thanks San Diego! From one form of gambling to another, as we hit up the Playtech Casino Titan Casino for day 2 of the Titan Casino Online Blog. Let’s rock!Play at this years #1 online casino for United States - Slots.LV. One thing that annoys me is there doesn’t seem to be the option to remember your password for logging in so you have to type it in every time which is a bit frustrating. Maybe it’s a security thing but it’s still more convenient to be able to have the remember password checkbox option, especially considering my passwords are made up of random letters, numbers and symbols. You see a picture of each dealer, and it also lists the limits which aer all $5 minimum bet, $50 maximum bet. 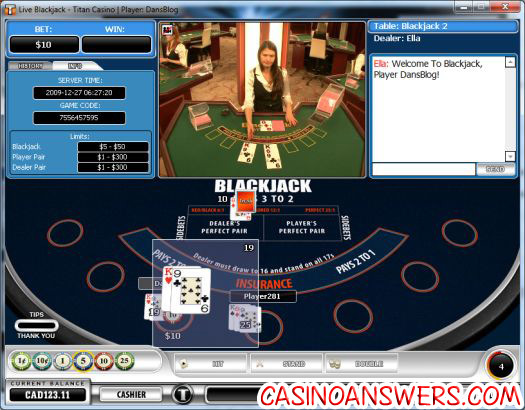 My daughters name is Ella, so I’ll go with Live Blackjack Dealer 2 – Ella! It’s just like playing the normal software version of Blackjack. You choose your money to bet, then you wait for the live casino dealer to deal it out, then you choose hit or stand. There’s also the option to tip if you want, if you believe in good karma. The dealer deals out your hand first on the camera, then you see it on the screen. In that hand the dealer turned over a :4d: then a :6d: for 20, to beat my 19. Bah. Next hand I get an :ah: and a :2s: and decide to double, and hit a beautiful :8s: for 21. The dealer hits 20 and I am a winner! 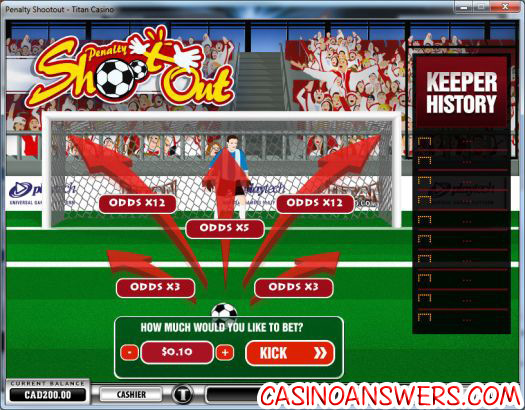 If you want to tip you just click the chip amount you want to bet, then click the “Tips – Thank You” slot. I tipped $1 and the dealer sends me a message in that chatbox just saying thank you. I also get some good karma with a :3c: and a :9c: against the dealers :8h: and I turned up a :9h:! Although I like her a little less when she gets a :2s: and a :js:to hit a 20. Anyway – that’s live dealer blackjack for you. Honestly it’s a little slow for my liking, but it really is a cool experience and I highly recommend checking it out. 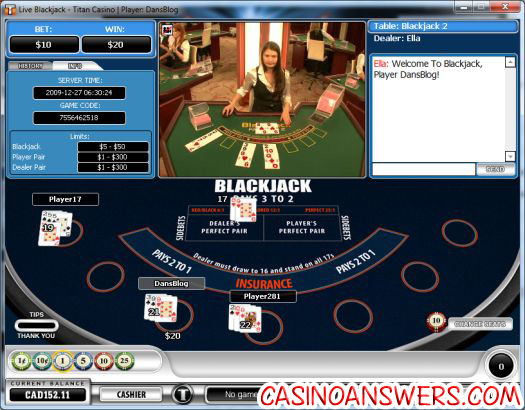 Click here to play Live Dealer Blackjack. I noticed too as I joined that, the dealer pulls out a keyboard and types the welcome message to me. It’s a bit creepy when they stare right at the camera though. 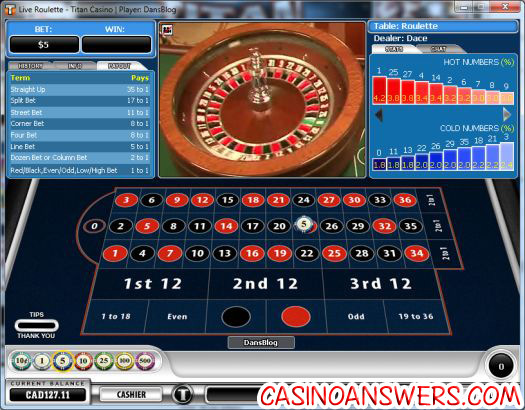 The minimum bets for Live Roulette is $2, and the maximum bet was $25. Anyway as this is the first online casino I have blogged about with actual real life live dealers, I just wanted to do a quick blog focusing on that. As I mentioned it is fairly slow, but it is still a really nice feature and I really enjoyed it. I’ll be back tomorrow with the Day 3 blog, as we kick things up a notch. 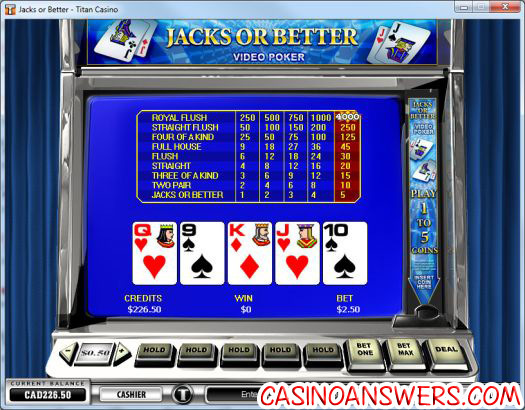 Click here to play at Titan Casino. 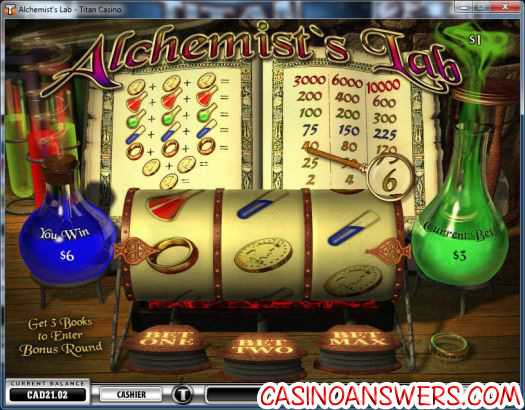 Welcome to day 3 of the Titan Casino Blog, and a big welcome to all the new visitors from StumbleUpon! For all you new guys – basically I take $100, deposit it at a casino and try and clear the bonus within a week, blogging about my process. Win or lose, we’ll then hit up another casino the next week! If you want to keep updated you can subscribe to the RSS Feed, or subscribe to e-mail updates. And of course if you enjoy this blog please Stumble It. 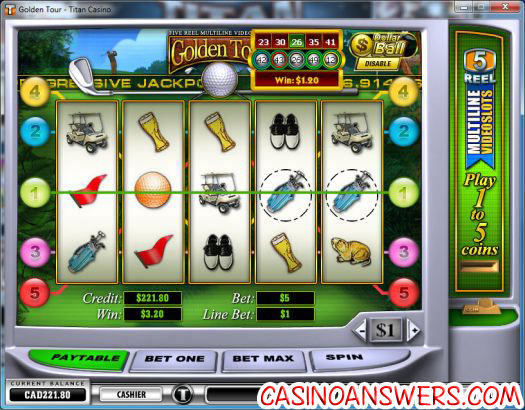 Thanks, and onto Day 3 of the Titan Casino Blog!Play at this years #1 online casino for United States - Slots.LV. It’s been a bit busy this end due to my kids being off school for the holidays, and the holiday season in general. So this update is going to be a bit quick. We’re going to hit up the slot machines for the first time at Titan Casino. Titan casino has a variety of slot machines. They have Video 50 line, 30 line, 25 line, 20 line, 15 line, 9 line, 8 line and 5 line. Titan Casino also has Video Multi Spin, Classic Multi Line and Classic Single Line, so LOTS of slot machines to choose from. While I do appreciate the old school look, it does feel a bit weird seeing the slot machines off to the side. I think I’d prefer that just being a regular background. Oh well – we’ll be betting $0.25 a line to start off with, and of course we have to bet the max 3 coins for the least negative expected value, so we’ll be betting $0.75 a spin. If we had hit those 3 gold bars, that would’ve been a win of $1250! I should note on this slot you can also pull the lever to spin rather than just bet max which is always a nice feature. 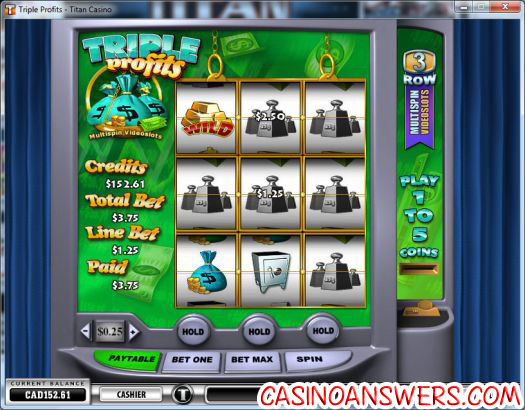 I decide to hit up a Video Multi-Line Slot called Triple Profits. I’ll be honest I have no clue how to play this game – but I hit spin anyway and hey I win right off the bat! Anyway you can see how to win by clicking Menu->Help. This gives all the details of this game and how it works and how to win. You can play 1 to 5 coins. You then spin the reels, and you can select the reels you wish to hold,by clicking on either the Hold button or the reels themselves. There is also a bonus game and to get that you have to collect three stack of money symbols on one row. I held two icons on the left and right, matched up the center and then also got a wild card. Now I understand the game I’ll bet $0.50 per coin which will be $2.50 per line, or $7.50 total bet. I play some more of that slot and have no luck, and with $83.61 I think it’s time to finish off the blog today. 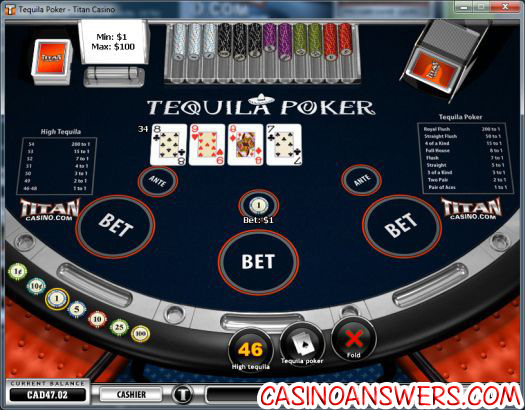 If you’re interested in playing at any of the above games check out Titan Casino, and remember to Stumble Us if you are enjoying the site. I’ll be back January 1st with the 4th day of the blog. Things have been a little crazy with New Years etc, and my schedule has just been all over the place the last few days. I plan on getting the Titan Casino blog all finished tomorrow with the fifth and final day, and then getting back on track on Sunday with a new casino. In the meantime – let’s roll with Titan Casino Blog Day 4.Play at this years #1 online casino for United States - Slots.LV. So before we go any further let’s see where we stand. We started off with a $100 deposit, and with a $100 bonus that gave us $200 total. We have $83.62 in total left from that $200. Took about 1 minute 30 seconds for that response. Quite disappointing that they can’t actually check for me, but let’s hope the e-mail doesn’t take that long. And as you may expect – you can win with either a high royal flush or a low royal flush. A high royal flush is the standard :10h::jh::qh::kh::ah: while the low royal flush would be :2h::3h::4h::5h::6h:. This video poker game also has the option to Collect, Half-Double or Double your winnings every time you win. I’ll be betting the maximum 5 coins as that’s really the way to go if you actually want to win – at $0.25 a shot that’s $1.25 every game. We then lose a bunch of hands, before I decide to hold onto the :3h::3d: and we pick up three of a kind when the :3s: comes up. And hey that one turns out alright! And I just hit the lousy :ah: for a push. Bah. $1,000 would have been REALLY nice right about now! Unfortunately we don’t have much luck, and at $48.62 in the balance it’s time to check something else out. I decide to hit up the table game Tequila Poker. If you have never played that it’s fairly simple – you get dealt four cards, then you have to choose whether to go for a poker hand, or a point total hand. It’s like a combination of Blackjack and Poker. You are then dealt two more cards after choosing, and the five best cards out of the six make up your hand. 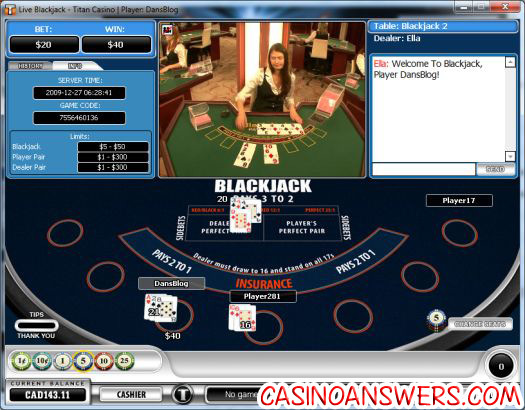 In this game, card points are the same as in blackjack, and the ace is always counted as 11. The cards must make up a point total of at least 46 for you to win. 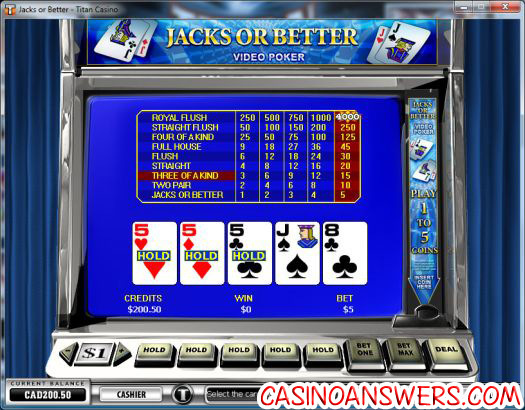 In poker they are used to make the best possible five card poker hand, and you need at least a pair of aces to win. Then we have the choice of playing High Tequila, Tequila Poker or just folding. 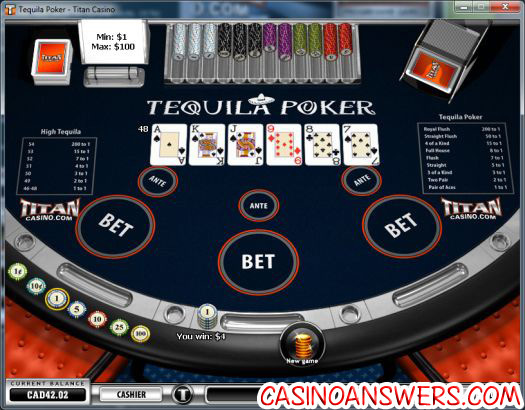 If you wish to play either High Tequila or Tequila Poker you have to bet $1. Pretty simple game, and quite fun. When you finish a hand, the software lets you choose “New Game” followed by “Rebet” which I think is a bit annoying – not sure why they can’t just make it a one-click process. but don’t improve – however we still win $6 which is A-Ok in my book. I can tell you right now that if I had chosen High Tequila and the :qs: & :10s: came up I would have murdered someone. Unfortunately we don’t have much luck, and I think it’s time to call it quits with a measly $24.04 left, before we go bust before the final day. I should note that I requested the wagering requirement at 5:45pm today. It’s 6:45pm as I write this and I haven’t received it yet, however they did say to wait 3 hours. Hopefully it arrives soon. I’ll be back tomorrow with the final day of the blog. 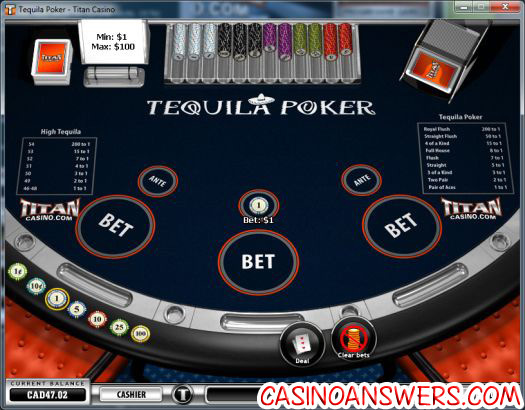 If you play at Titan Casino I highly recommend checking out Tequila Poker. 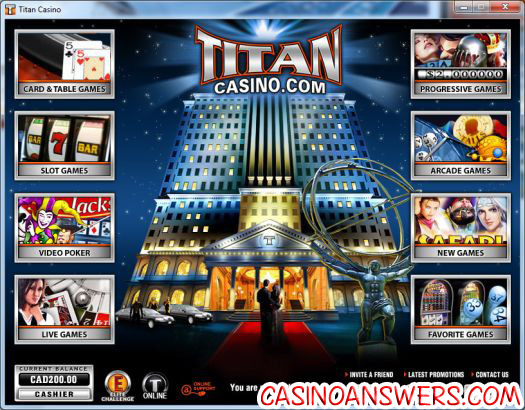 Click here for Titan Casino. Welcome to what is most likely going to be the final Titan Casino blog, bar a complete miracle. Our balance is down to just $24.02, and it looks like we’re going to get to the $0 mark relatively quickly, which is a shame as Titan is a fun casino to play at. Let’s get the misery out of the way, in Titan Casino Blog Day 5!Play at this years #1 online casino for United States - Slots.LV. Before we go any further I can answer the question from yesterdays blog about how long it took to find out the wagering requirements. As I mentioned you can’t actually check it in the software yourself, and when I asked online support they had to forward the request to the relevant department, which they said would have up to a 3 hour turnaround time. I’m glad to report that they met that statement, answering my question in just 2 hours and 30 minutes which was good. Unfortunately I have a playthrough requirement of $3,557.75 – I’m really going to have to make this $24 go far! With $24 total, we’ll be betting $1 coins, and of course betting the maximum coins which is going to be $3 a spin. So that’s 7 spins between defeat and victory! Spin #2 is a ring, a book and a blank for nothing. The next spin is a red potion, a book and a green potion for nothing. …..but no cigar. If that green potion on the left had dropped that would’ve been $300 to play with! Something I find funny – it says “Click SPIN to start” in the bar at the bottom – yet there is no spin button. 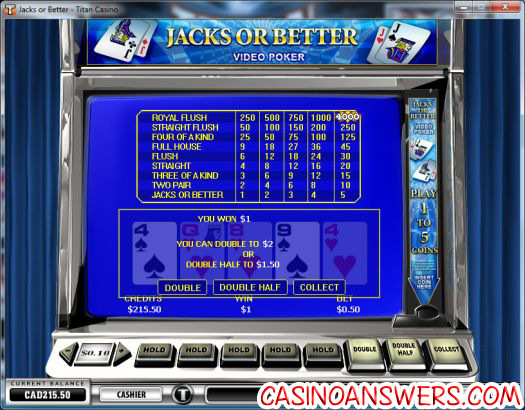 You have to click “Bet One”, “Bet Two” or “Bet Max”. Sloppiness like that always bugs me. 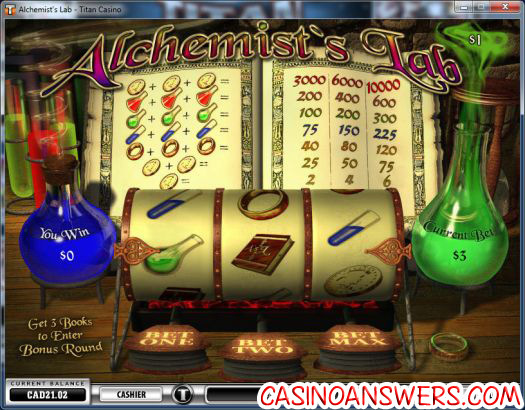 Alas the rest of the Alchemists Lab slot is uneventful, and our trip to Titan Casino ends rather promptly. I don’t even have enough comp points to exchange, as 100 comp points = $1, and I have just 92 comp points. 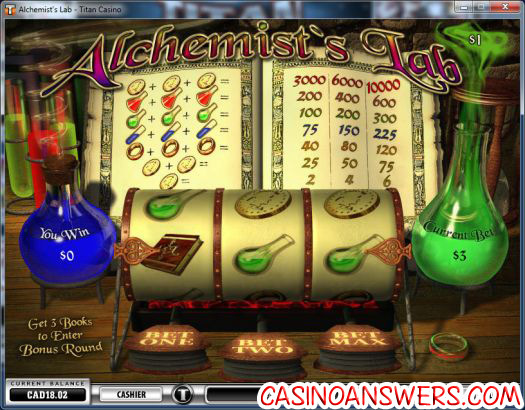 Oh well – I still had fun at Titan Casino, and it was great to try out the live dealer stuff. 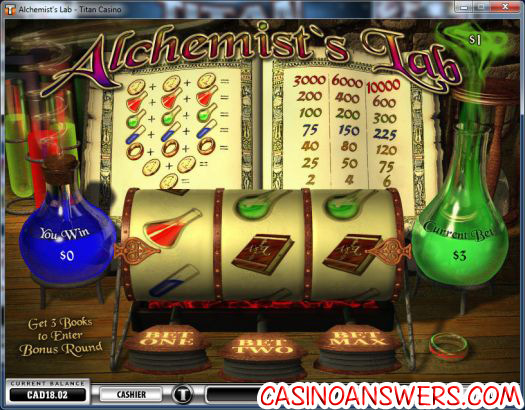 I’ll be back on the weekend with a review of Titan Casino as well as signing up for the next casino to blog about. 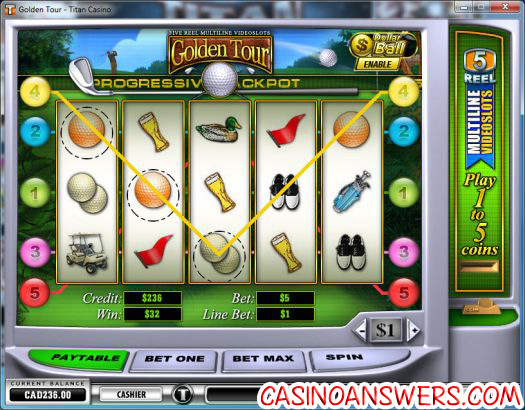 It’s a real shame that Americans aren’t able to play at Titan Casino, because when it comes to all the casinos that use the Playtech software, it’s without a doubt my favourite one. Titan Casino are always great when it comes to promotions, and also have one of the slickest lobbies I’ve seen when it comes to online casinos. I’m writing today however because of their promotions, as I got an e-mail from their casino manager Riccardo Pace stating that he has provided me with a free surprise, and to log into my account to check. I logged in to find he had given me $8 to play the real money games with. Sweet deal! So if you want casino free cash, then be sure to register at Titan Casino and maybe you too will get a free cash bonus e-mailed to you. Now $8 isn’t exactly a lot of money – I can’t see us becoming millionaires during this free visit – but then again, anything’s possible! Let’s hit up some video poker, and make this an all video poker blog! As you can see, a nice classic look to it. We can play up to 5 coins, and we need to get kings or better but can use a joker to do that, to get paid. 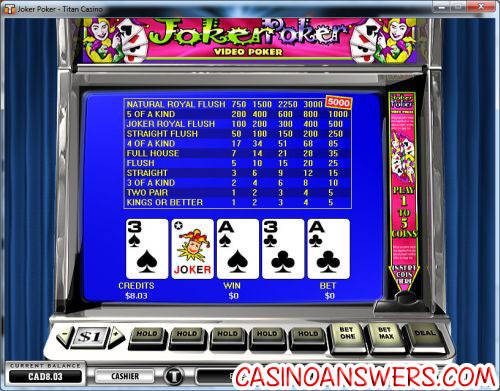 When it comes to video poker you always have to bet max – that’s the best video poker strategy, period. 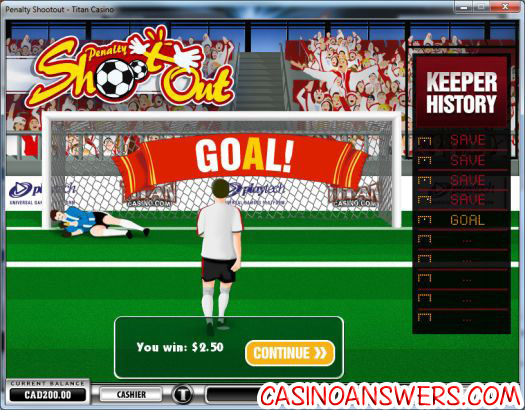 So we’ll be doing $0.10 coins, and betting max, or $0.50 per game. Which brings our balance up to $9.50. Time to ride the hot streak as we will bet $0.25 a credit now, for a whopping $1.25 a game. Then hit another ace to make three of a kind in video poker, and bring our balance to $8.25. Nice one there. I’m not sure how much of the bonus balance we can withdraw – unfortunately the e-mail about the free cash never actually gave me any information. Oh well. Lets continue to push our luck. $1 per credit, so $5 bets total. First hand we get a return of our money with an ace and a joker for Kings or Better. Next hand is a loss, then the next hand is another Kings or Better. Unfortunately our luck runs out, and we’re left with a balance of $0. Oh well, it was a lot of fun while it lasted, and many many thanks to Titan Casino for the free cash.